The birth of cinema is attributed to the Lumière brothers in 1890s France, who captured a train pulling into the station at La Ciotat and workers leaving a Lyon factory in hurried bursts. Few people know that further east in Macedonia, similar early experiments were being played out in the hands of another pair of brothers: the Manakis. From 1908 they recorded a grandmother weaving, panoramic views of the countryside, the formality of a visiting Romanian delegation: the first film captured in the Balkans. The Manaki brothers loom so large in Macedonia’s cultural history that their name is given to the country’s largest annual film festival, founded in 1979 under the auspices of the Ministry of Culture. The teenagers are filmed in close-up for extended periods, locked in conversation inside their car or in dank, semi-urban locations. This creates a foreboding as to the characters’ fate. The film’s sound design is also unsettling, adding to the narrative’s presentiment, with long stretches of staccato strings. Because the film is a quasi-road movie, albeit without the carefree abandon often associated with the genre, the sound design is an ideal accompaniment to the bleak surrounds of city streets and a countryside littered with rubbish. I also had the feeling, while watching for the first time, of the sound imitating a struggling swimmer trying to catch their breath, of the strings gesturing ahead towards the fatal lake at the film’s end. The Woman Who Brushed Off Her Tears (2012), Mitevska’s third film, explored the tragedies of two families through the lenses of their mothers. 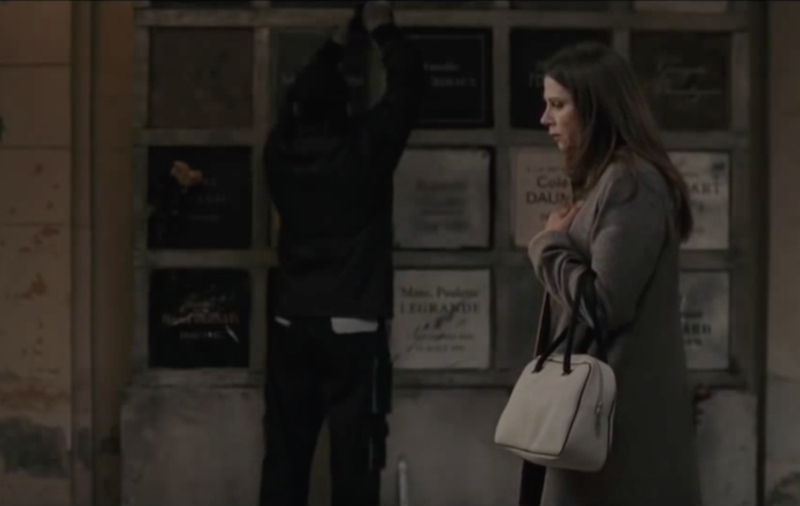 In Paris, Helena (Victoria Avril) is distraught after her son commits suicide after claiming he was abused by his father. Desperate to compensate for her loss, she tries to make Lucian (Arben Bajraktaraj), a manipulative deportee, a part of her life. She conspires to abduct him and travels to Macedonia. Lucian’s lover, Aysun (Labina Mitevska), is struggling for her independence after being sold off as a slave to another man, driven by the misguided notion that this would protect her from the shame of having an illegitimate child. Both Aysun and Helena must forge their own place in a male-dominated world. What makes the film unique among Mitevska’s work is its use of magic realism. While never heavy-handed, her use of wolves to convey a character’s psychology is straight out of fairy tale lore, as are the numerous abnormal coincidences, where characters are thrown together conveniently for the plot. When seen together with her latest film, it’s striking how both narrative drives rely on a similar sense of fatalism, that despite the struggle of the protagonists there is little they can do in the face of larger cultural and political forces. While visiting Macedonia’s second largest city, Bitola, in 2015, I was invited to a film screening of Mitevska’s most well-regarded film, I am from Titov Veles (2007), in an abandoned, underground car park. The location was what the locals call grubo: rough. As I made my way to the back of the dimly lit space, sitting among a group of enthusiastic local cinephiles, I noticed that the folded green chairs — many dotted with cigarette burns — had been etched with the words Klubot Manaki: The Manaki Club. When darkness fell over the car park and the projector lit up with I am from Titov Veles, I was captivated. In one of the opening scenes, three sisters clothed in sprightly summer dresses lie locked in an embrace on a large, rose-patterned bed. 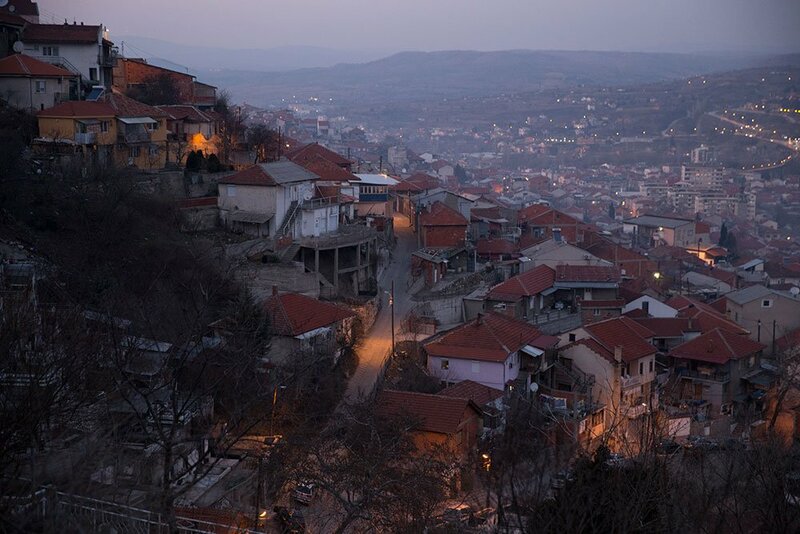 The bed, and the interior of the house more generally, acts as a sanctuary from the austere urbanity of Veles, a town blighted by unemployment, poverty and lead poisoning in the post-Tito era. The three sisters and their restless predilections shape the narrative drive, where the virginal Afrodita (Labina Mitevska) has chosen to remain mute since her mother walked out on the family and her father died. Afrodita’s twin sister Sapho (Nikolina Kujaca) is a promiscuous handball player whose sexual exploits leave her unfulfilled, while Slavica (Ana Kostovska), their older sibling, is a recovering drug addict whose beauty cannot disabuse the town gossips from casting her as damaged goods. Afrodita and Sapho try to hatch a plan to marry off Slavica; if a breadwinner can be assured they will have the chance to emigrate and leave the confines of Veles behind. 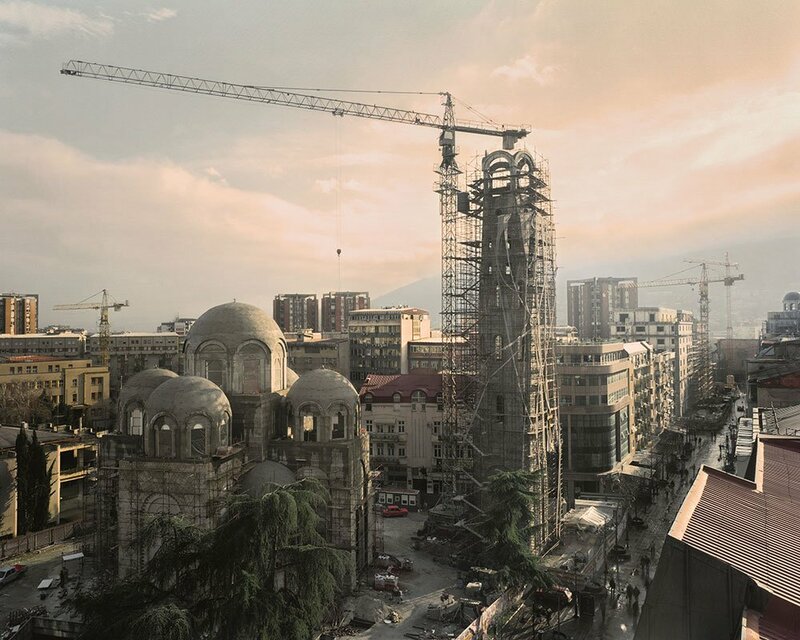 By end of the film, after following the characters repressed desires to flee, we come to understand that their noxious hometown stands in for Macedonia as a whole, a landlocked country ill at ease with its communist past. 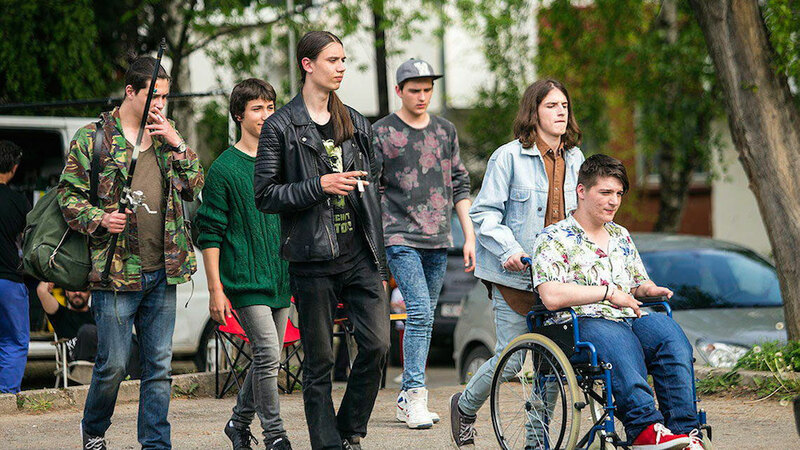 As a provocative voice in eastern Europe, Mitevska’s films stand out for their acute portrayal of youthful torment. Her focus on the trials of adolescence not only depicts a culturally specific milieu in Macedonia, but also the universal coming-of-age experience. Her take on the Bildungsroman is less than straightforward, often charting the journeys of multiple protagonists within a single film. While this can at times make for an opaque experience, in terms of narrative flow, it is ultimately the tender way she is able to reveal the characters’ inner workings that mark her out as an exceptional director.